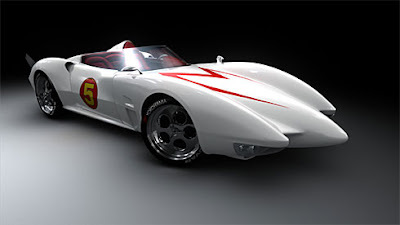 I used to watch the show Speed Racer every morning when I was a little kid. I was very glad that they decided to make a film and even more glad that the most important prop has retained its iconic shape. Read the USA Today story for a little more information. Forever a little boy at heart. Pretty sure that's why Lacy loves you... or is it in spite of it??... well what does it matter? You're a boy at heart... SHE loves you.